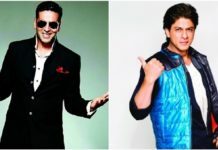 Who would have thought that Shahrukh Khan’s best movie in the recent times will be a big flop at the Box Office? 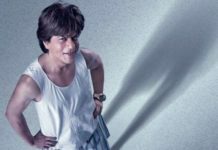 Well, the fate of ‘Fan’ was decided in the first week itself when it witnessed a big drop in collections during the weekdays. After a below average opening week with the collection of 71.35 crores, ‘Fan’ is performing poorly in the second weekend as well. The movie collected 2.25 crores and 2.75 crores on 2nd Friday and 2nd Saturday respectively to take its total collection value to 76.35 crores. 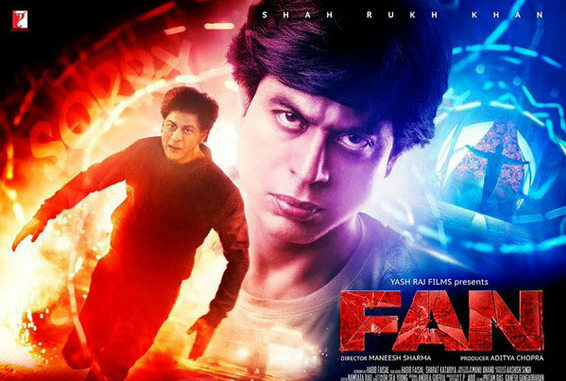 What do you think are the reasons for the failure of ‘Fan’ at the Box Office? Share your views with us in the comments section. SRK’s days at the box office are over. About 6-7 years back he was the unquestioned king. But for past many years it was Amir and Salman who were raising the box office success standards and SRK was playing catch up. Now with 2 successive flops Dilwale and Fan, SRK is out of the race. I am ardent fan of SRK since Fauji time but am disappointed by his real and reel acts contradiction..Smoking in public ,creating scene in stadium ,intolerance statements ,.these are some examples of real SRK.Public has also noticed that and discarded his movies . desh ki janta gaddaro ki hr ek picture nkaregi….janta bewkooph nhi hai …..jo mn me aaya picture bna diye ..koi trksangt picture bnawoo to hero koi bhi ho picture hit hogi….srk ko pakistaan me koin gribh bhukha hai uski sewa krni chahiye syd jitna kiya us se aaalah tala khus nhi huye…. People are tired with fake smiling and over self bashing ShahRukh. Need some breather and fresh faces. SRK has nothing new to offer to the viewers. People are pissed off watching his overacting. He is no more a good actor. His career as an actor is done and dusted. Rojaina Khaled Yes The story none has ever witnessed .. is that so?? The most predictable story and nothing was realted to real life.. we dont live in dreams… In India Fan means somebody who is a servant of star and who stands along his house all day long just to see his face … Watching fan could make people put under those categories of jobless people who have nothing to do in life than just pray their hero whose aim is just to mint money. When his idol cann't give 5 seconds of his life then why should a person give $5 (300Rs) to his arrogant model. Film definitely have story bt people of india don’t like movie without song and most weird thing is they don’t rivalry between fans and their star bt they want to see the emotion and some heart touching moments between their star and fan. storyy!!!. there iz no stryy. bt shah rukh was there, its enough to be a big hit, bt unfortunatelly double role of srk doesn’t work at boxoffice. i thnk srk lost his chrmmm.